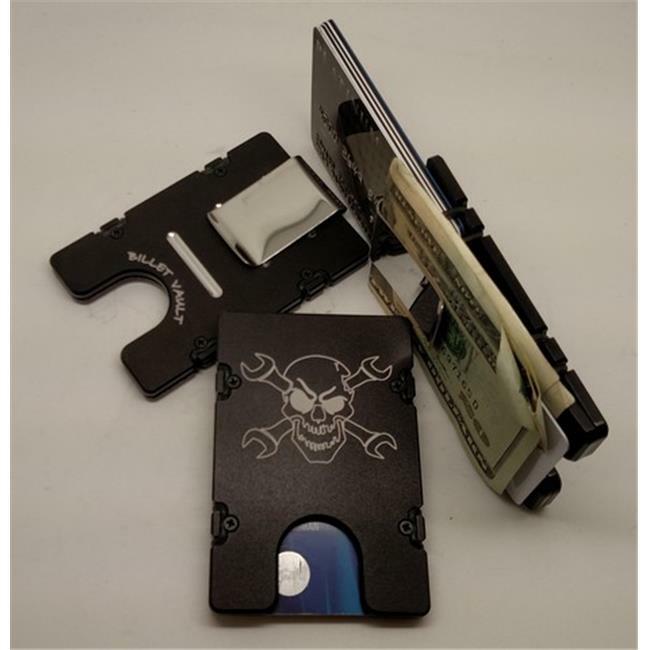 The Billet Aluminum Front Pocket Wallet & Credit Card Holder with RFID Protection has been minimally machined from two pieces of solid 6061 T6 aircraft grade aluminum. Carry only what you need, with its size easily adjustable to up to twelve cards for traveling or networking events. Comes with a removable money clip, money organizer & pusher card for your currency and four extra O-rings. This wallet & credit card holder is anodized then laser engraved. The lightweight construction of this wallet lends itself to utter comfort. The slim front pocket profile helps alleviate lower back pain, while the tough construction keeps your information secure by blocking RFID Devices used to wirelessly steal your identity or credit card information.